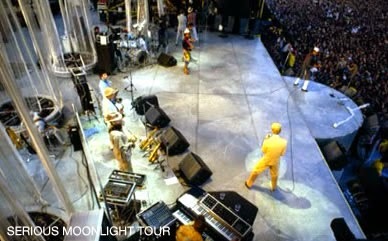 Returning to the live stage after a layoff of five years, David Bowie and his collected group of musicians embarked on 1983’s Serious Moonlight tour. Before the tour started proper Bowie played two nights on May 18th and 19th 1983 at the Voorst Nationaal in Brussels, Belgium. Jamming in the ‘rock room’ today is a field recording made of the premier two hour performance. 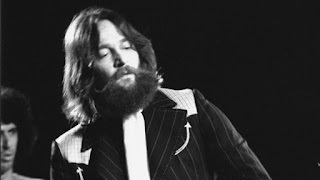 What is also of note with these opening concerts is they contain tracks rarely performed on the rest of the dates while also expressing an early sense of enthusiasm and experimentation. The recording playing in the ‘rock room’ is purported to come from a master cassette and while slightly lacking bass features a well rounded sonic spread with a generally non-intrusive crowd. 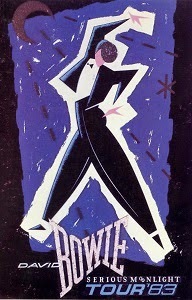 Bowie had reached his peak popularity during this era with the acceptance of his smashing single ‘Let’s Dance’ causing the aforementioned tour to be moved from theaters to large scare arenas. Bowie’s touring band was comprised of Earl Slick and Carlos Alomar on guitars, Carmine Rojas on bass guitar, Tony Thompson on drums, Dave Lebolt on keyboards and Steve Elson, Stan Harrison and Lenny Pickett on horns. George and Frank Simms were enlisted for backing vocals. This opening night features an early set and infectious enthusiasm. After the MC’s introduction Bowie jive sang a line from ‘Jean Jeanie’ before streaking across the night sky with a shooting ‘Star’. The band is in peak running condition as the tight corners of the Ziggy track are negotiated with stunning accuracy. An molten opening to Bowie's reintroduction to the performing stage. With only a brief pause Bowie again sings a few lyrics in a differing context before beginning ‘Heroes’ to great applause. One of Bowie’s most beloved songs, ‘Heroes’ is the lucky recipient of impassioned Bowie vocals, soaring Slick guitar work and bombastic playing by the band. This is a towering rendition and acts as a definitive statement announcing Bowie’s musical return. His vocals are inspiring and heartfelt, chill inducing. A standout song and stage favorite from Bowie’s 1977 Low LP, ‘What In the World’ follows and disseminates a groovy dance vibe, before it explodes into a definitive and breathless double time conclusion. The opening tracks of the concert are well chosen and offer no respite. The dramatic ‘Look Back In Anger’ from 1979’s Lodger is another ace set list choice, sounding like a space bound electric orchestra the band churns as Bowie froths above them. An even better set list choice is the following ‘Joe the Lion’ in one of its only two appearances on the tour. The sound on the recording dips slightly but returns quickly clearing up in the process. The song expresses a s twinkling soul and offers up a celebratory glam review. Carlos Alomar’s sudsy guitar work throughout the track is of note. A rare cut and early highlight of a breathless performance. Another rare cut making one of its four tour appearances is ‘Wild Is The Wind’, offering the concerts first cool drink of water for the evening. Bowie croons beautifully, reaching successfully skyward with strength and vibrato. Tour standards follow next with a punky ‘Golden Years’, a gaudy ‘Fashion’ that segues using the 'Twist and Shout' bridge into tour money maker and nitrous powered ‘Let’s Dance’, the triad of tunes driving the crowd into an expected frenzy. The sound issues return here with some volume swells and static but nothing to make me toss the recording out. Another track from Lodger appears with ‘Red Sails’ and like the preceding ‘Look Back in Anger’ the song permeates the room with the smell of fire. The band is careening on the edge with sharp synths and slamming percussion. A relatively rare track this song appeared in roughly a quarter of the tour performances. The Lodger songs are injected with a juice not present on the studio versions, any fan of that particular LP needs to search out these renditions. ‘Breaking Glass’, a favorite from Low is given a horny introduction and is played at high velocity, the band confidently smashing out every window on the street. Slick continuously solos under Bowie’s vocals with perfect clarity. Woah, what a concrete performance. The earliest Bowie track to be featured in the retrospective set list follows with ‘Life on Mars?’ allowing for a brief respite but also getting some of the greatest applause of the evening. The McCoy’s ‘Sorrow’ keeps the cool down period going before keeping the dramatic anticipation going with a dynamic version of ‘Cat People (Putting Out Fire)’. A Bowie soundtrack piece properly recorded for ‘Let’s Dance’ gets the crowd clapping along in perfect time. Iggy Pop’s ‘China Girl would appear in every concert of the tour relatively unchanged, here it is given a typically great and true reading to its 1983 studio rendition. Staying in the then current decade, Bowie follows ‘China Girl’ with ‘Scary Monsters (and Super Creeps)’ from the 1980 LP of the same name. ‘Scary Monsters’ stays true to the theme of the concert, high speed, electric and kinetic. The tale of insanity and madness is given a deranged reading highlighted by Bowie’s exaggerated vocal attack. Segued into ‘Rebel, Rebel’ through an emphasized transitional bridge, ‘Rebel’ becomes a wide eyed mantra circling the glowing central riff. Background vocals shout, the saxophone wails and Bowie acts the punk. 'China Girl' and 'Rebel Rebel' make for a rare and interesting pairing. Staying true to the previously displayed Mod/Punk attitude Bowie pulls out the Vespa and pays tribute to his contemporaries with a swinging version of The Who’s, ‘I Can’t Explain’. The melody is halved like a fruit and slowed down, enabling the chorus to be crooned expectantly by Bowie. In total contrast a hot to the touch version of The Velvet Underground’s ‘White Light/White Heat’ follows and appears overflowing with undulating horns and wailing distorted guitars. ‘White Light’ may contain the highest RPM’s of the evening whining in joyous overdrive with smoke pouring from the doors. Two well picked covers settling from opposing poles. The ‘thin white dude’s’ persona then makes an appearance, landing in the alien smoke during the ‘Musique Concrete’ introduction of ‘Station to Station’. Appearing from the rubble are the pointed darts of the duke heading straight for the heart of their musical target. Heavy stepping boots morph into a horny disco outro that bursts with scattered lights and powders. ‘Station to Station’ provides a jaw dropping take off point for the second half of the performance. The sucking and f@#king of ‘Cracked Actor’ follows in a hard hitting rendition. The keyboards and horns collaborate, balanced on the descending aural axis as Bowie spits the lyrics through lipstick. Kudo’s again to Earl Slick who throughout the evening does a superior job of disseminating the licks played on Bowie’s LP’s by many amazing players (Fripp, Belew, Ronson) Bowie would often don shades and hold a solitary skull while performing this song. The kind reader can visualize this eventuality while enjoying this bootleg. 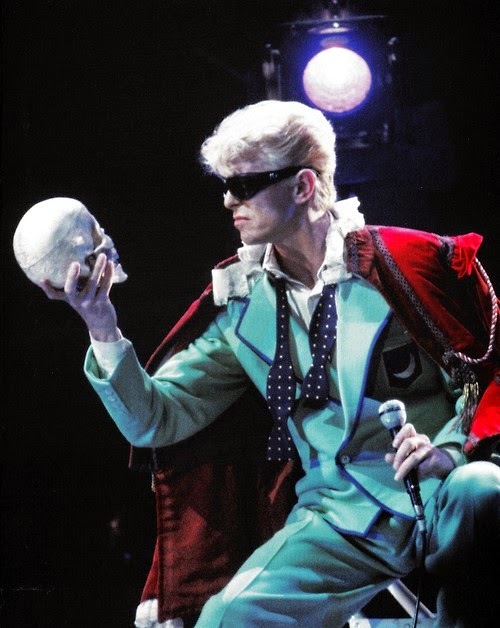 A fidgety ‘Ashes to Ashes’ is revealed from under the concert’s charred remnants, Bowie referred to the song as a nursery rhyme that wrapped up the decade of 1970’s for him in compositional form. The song fittingly closed the 1970’s for Bowie while opening the doors of time to a new decade. Here, an airtight version acts as a perfect prelude to the crowd pleasing and set concluding ‘Space Oddity’. The pairing a pleasing bow placed on top of the musical gift presented by Bowie to his adoring crowd. Bowie expresses his love for the stage and his thankfulness in returning to performing for his fans. He then introduces the musicians on stage before beginning the end with a lovely and buoyant ‘Young Americans’. The premier concert of Bowie’s return to stage now hits a drag racing straightaway and allows the band to hit full throttle on the open road. Ziggy makes a welcome and quick appearance with performances of ‘Soul Love’ and a careening ‘Hang On to Yourself’ sung like a drug fueled auctioneer from Mars. Time removed from performing has done nothing but increase Ziggy’s intensity as the dirt is removed and the grave is unearthed, revealing perfectly preserved hair and makeup. ‘Fame’ is locked into a perfect set placement and acts as the final creamy topping to the brief Ziggy appearance, its lyrical statement definitive as well as a commentary on previous Bowie musical personas. Before the crowd can gather themselves, Bowie and the band point the finger at the picture box with a groovy seductive dance called ‘TVC15’ from 1976’s Station to Station, followed by the mammoth funkiness of ‘Stay’ from the same LP. This one two punch is highlighted by Slick and Alomar’s funky scrubbing and the empty oil drum banging by Tony Thompson. 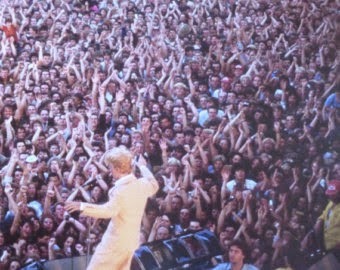 The crowd is slack jawed and sweaty, being pushed against the wall by Bowie and band. The sound issues on the recording return here, but act as more of a slight annoyance than having a huge effect on any enjoyment of the show. Sandwiching the show with a reprise, ‘The Jean Jeanie’ crosses her legs real high and licks her cherry red lips, showing her face for the first time since the show’s opening. Bowie scats seductively pushing his nails into flesh, the band pounds out the hammer and nails groove in which Earl Slick signs in deep dark ink. A crashing and multifarious conclusion to a diverse closing series of songs. The recording now changes sources allowing for the final encore to be included. While a bit muffled, the encore can be enjoyed in similar sonic quality to the preceding tunes. “Modern Love’, the opening song from Bowie’s 1983 Let’s Dance LP acts as the finale for the evening here and for the majority of the tour. Thompson’s drums pound out the tribal opening of the song as the band closes out the first show of a legendary tour with a textbook reading of Bowie’s third single from Let’s Dance. Fittingly the song would gain momentum and popularity as the tour continued, Bowie aware of this eventuality placed it in the encore slot. 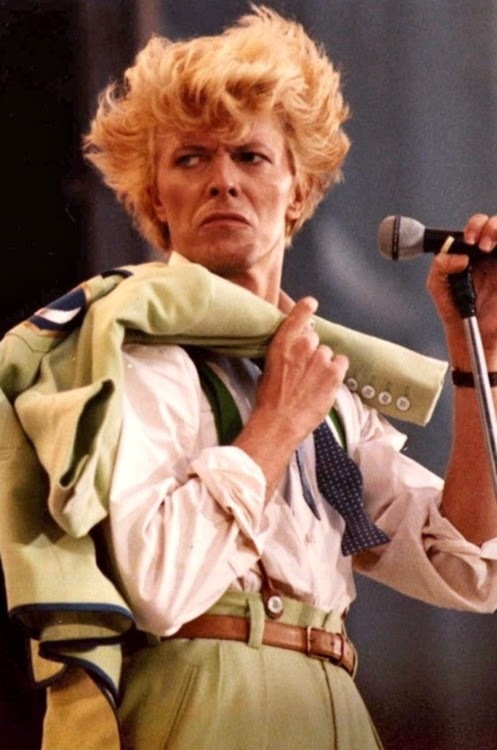 David Bowie’s 1983 Serious Moonlight tour introduced a new Bowie to the world, mainstreamed by his current popularity Bowie was still an artist who refused to compromise himself or his art. The concerts of the tour were the perfect encapsulation of his career up to that point sampling pieces from all aspects of his records and performances. The arrangements are cutting edge and racing beyond Bowie's contemporaries of the same era. There are multiple recordings both official and pirated from this exciting time in Bowie’s career to review. This particular opening show from the 96 performance tour finds Bowie anxious and excitable, while offering a few songs that would not make their way through the entire tour. Historic and diverse, Bowie’s 1983 performances are a wealth of powerful return renditions. Start here, from the very beginning and witness the genesis of the tour in this premier show straight from the 'rock room'.